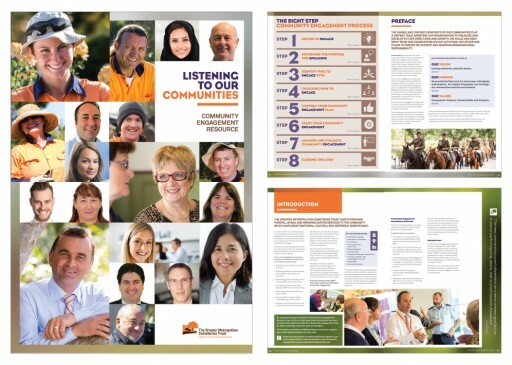 The Greater Metropolitan Cemeteries Trust 106 page A4 Annual Report 2015-2016 and an Annual Meeting invitation. 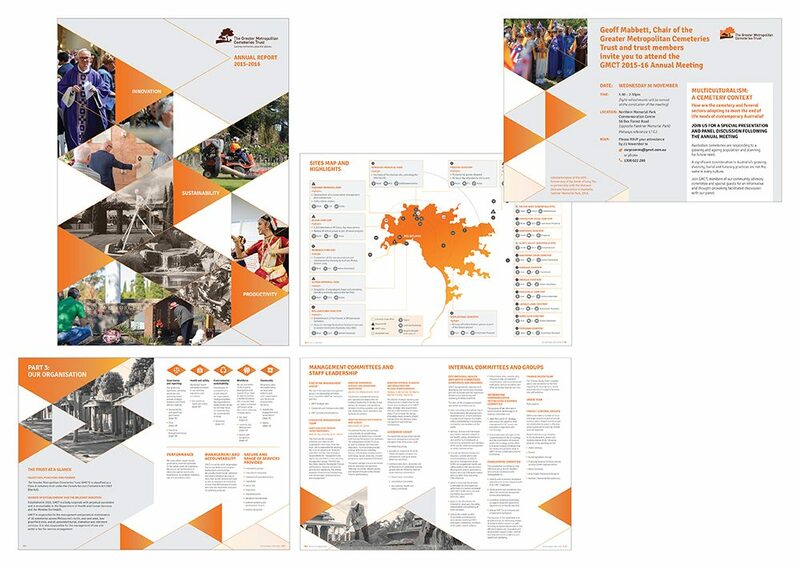 The Greater Metropolitan Cemeteries Trust 28 page A4 Community Engagement Resource booklet. 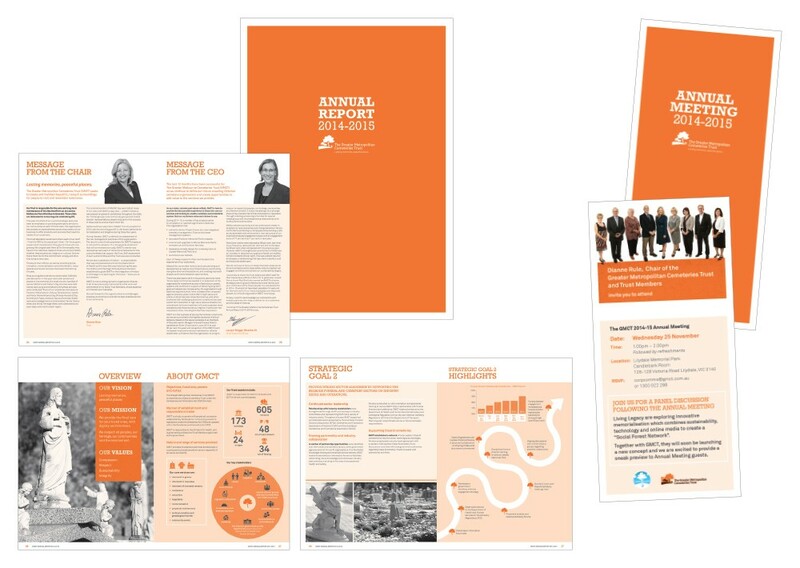 The Greater Metropolitan Cemeteries Trust 102 page A4 Annual Report 2014-2015 and a 2 page DL Annual Meeting invitation. 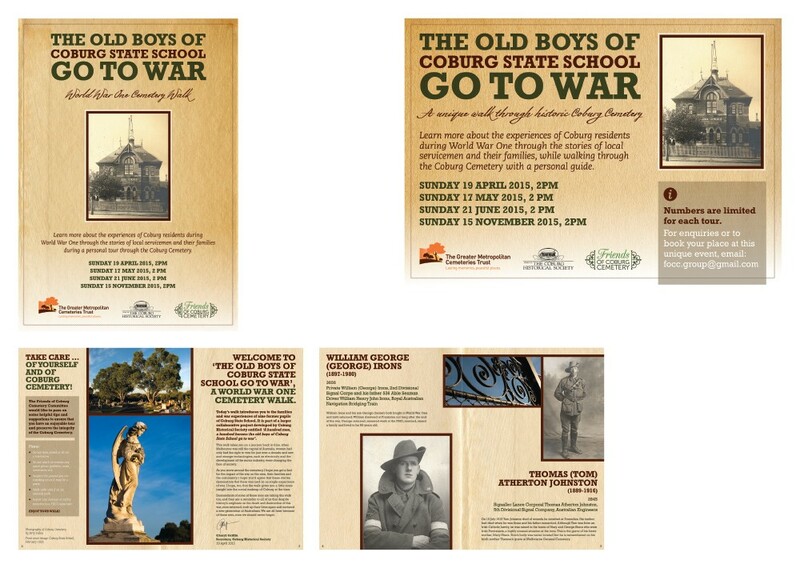 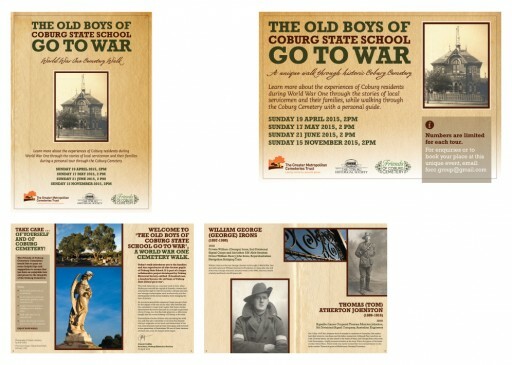 The Greater Metropolitan Cemeteries Trust ANZAC themed tour of Coburg Cemetery 12 page A5 booklet, A4 poster and newspaper advert.